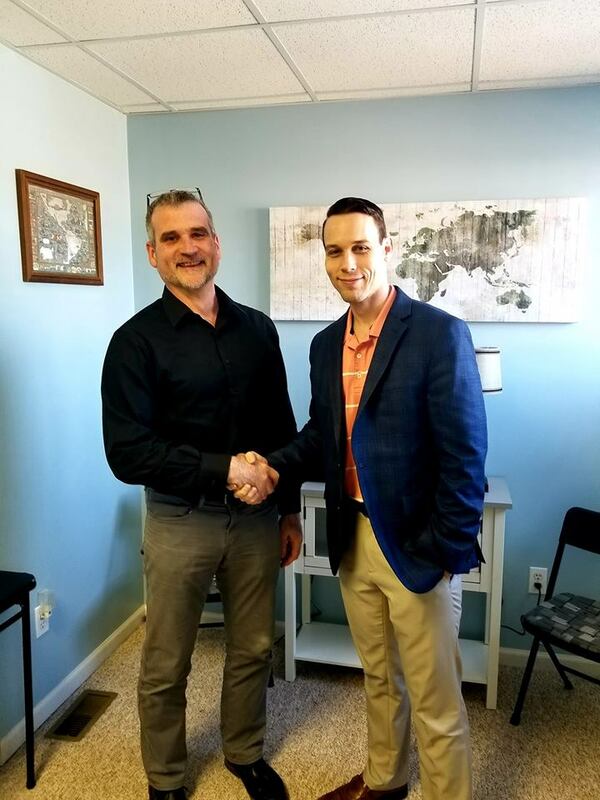 Please help welcome Patrick W. Velas as a new business owner in Barnesville, Ohio! He represents American National Insurance located at 110 Mill Street, Barnesville, OH 43713. A ribbon cutting ceremony will take place April 11, 2019 at 5:30pm. Patrick has been in the insurance industry for over 30 years, and a Barnesville resident for almost 31 years. His experience and knowledge have allowed him this opportunity to become a successful business owner. American National Insurance company was founded in 1905 and offers home, life, auto, farm and commercial insurance at competitive rates. Stop in for a quote. Pictured with Patrick is Tony Zinn who is the American National Manager for the Akron Area. Tony stopped by to welcome Patrick to the company.